3D The Angkor Wat Kingdom only RM1288 wt Flight Inclusive now! 4D Best of Siem Reap only RM1488 wt Flight Inclusive now! 5D Best of Cambodia only RM1888 wt Flight Inclusive now! 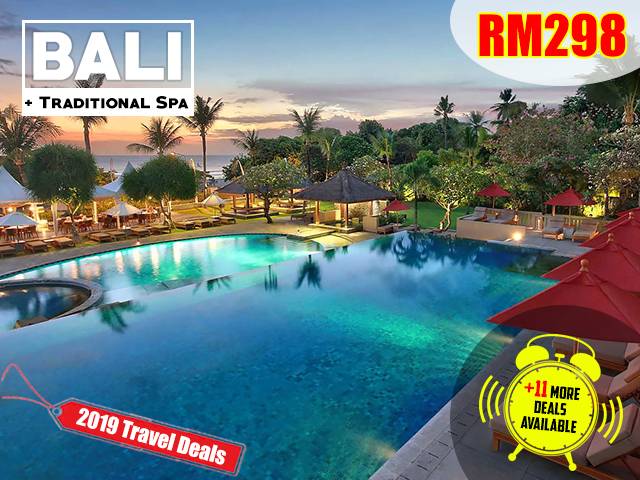 3D BALI with Flights only RM888 now! 4D Romantic BALI wt Sunset Cruise only RM948 now! 4D Fun in Bali with Flght Inclusive! 4D Best of Bali with Flight Inclusive! 4D Bali + Dolphin Watching with Flight Inclusive! 3D Bangkok + Chao Phraya River Cruise with Flight Inclusive! 4D Best of Bangkok with Flight Inclusive! 5D Best of Bangkok Pattaya with Flight Inclusive! 3D Explore Danang only RM1588 wt Flight Inclusive now! 4D Best of Danang + Bana Hills Resort only RM2088 wt Flight Inclusive now! 5D Best of Danang + Hue Ancient City only RM2488 wt Flight Inclusive now! 4D Hanoi Halong Super Saver only RM938 Now! 4D Hanoi Halong Bay Super Saver only RM1588 wt Flight Inclusive now! 5D Best of Hanoi & Halong Bay only RM2388 wt Flight Inclusive now! 6D Sapa Valley + Hanoi Halong Bay only RM2588 wt Flight Inclusive now! 3D Ho Chi Minh only RM1188 wt Flight Inclusive now! 4D Best of Ho Chi Minh only RM1488 wt Flight Inclusive now! 5D KERALA Backwater Cruise only RM2088 wt Flight Inclusive now! 5D Beautiful Sri Lanka (Muslim) only RM2388 wt Flight Inclusive now! 5D SRI LANKA only RM2388 wt Flights! 5D TAJ MAHAL only RM2388 wt Flights! 6D Best of KERALA only RM2488 wt Flight Inclusive now! 5D Nepal wt Flights only RM2688 now! 6D Delhi Agra Jaipur + Taj Mahal only RM2788 wt Flight Inclusive now! 6D Sri Lankan Adventure only RM2788 wt Flight Inclusive now! 7D Best of Sri Lanka + YALA SAFARI only RM3188 wt Flight Inclusive now! 6D KASHMIR & TAJ MAHAL only RM3288 wt Flights Now ! 7D Best of Nepal (Most Popular) only RM3588 wt Flight Inclusive now! 7D Best of Nepal (Muslim) only RM3588 wt Flight Inclusive now! 9D KASHMIR + Delhi Agra Jaipur only RM4088 wt Flight Inclusive Now ! 10D Sri Lanka + JAFFNA Ancient City only RM4088 wt Flight Inclusive now! 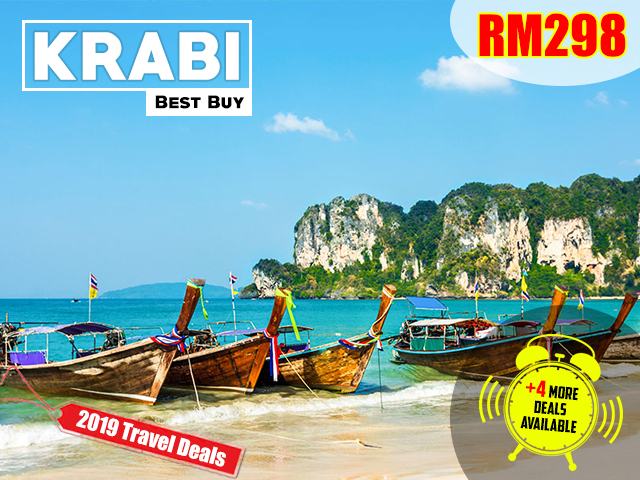 4D KRABI wt Flights only RM788 now! 4D World Wonder, TAJ MAHAL only RM998 now! 5D Delhi Agra Jaipur + Taj Mahal only RM1398 now! 5D KASHMIR Taj Mahal only RM2088 now!